- Welcome to our tribe! Together we are losing pounds and have become a tribe full of love, encouragement, and support! It brings me great joy to host and I love being part of such a positive weight loss space. We will have others joining us for 14 days so be sure to invite friends,family, and coworkers. You may literally save their life just by getting them to join in on the fun! - Diet is key! I use myfitnesspal to track all the food i'm eating and it helped me learn about nutrition labels, log my water/workouts, and showed me my progress! - MOVE! Try to get atleast 30 minutes of exercise 4-5x a week even if it's just walking. Every step adds up! I started with the elliptical 5x a week in the beginning as I was 485lbs and it helped me to not kill my knees. Start where you can and just focus on moving daily. - WATER is your best friend! I aim to drink a gallon a day. Water helps to keep you full, boost your metabolism, and can even help your skin while loosing weight! - Let's be friends! Be sure to tag #fatgirlfedupsdietbet on all social media so we can find & cheer each other on! - PICTURES. 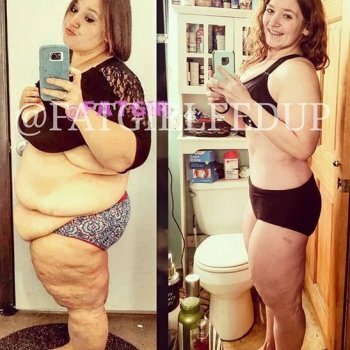 Sometimes the scale doesn't tell the full story so be sure to take ALL the before pictures. 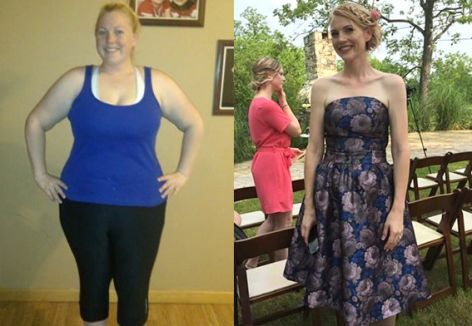 I promise you WILL want them and we can't wait to see your transformation! - Any technical or weigh in problems email support@dietbet.com as they are amazing and super quick with helping! Alyssa S. , Kayla G. and 933 others like this comment. I added you on Fitness Pal - my user name is jhenia. 1. Make sure you have a back-up plan at home for the days that you can't get to the gym. 2. Have fun. Nobody wants to do something that's uncomfortable. Find what's for you and do it! 3.Take advantage of the warm weather and get out there and walk.